Brau Union Austria sells more than 5.0 million HL beer per year – with thirteen leading beer brands, over 100 beers and ongoing innovations. The company stands for international premium brands such as Heineken, Desperados and the cider brands Strongbow and Stibitzer, national top brands such as Gösser, Schwechater, the wheat beer brand Edelweiss, the non-alcoholic Schlossgold, beer specialties from Hofbräu Kaltenhausen and brands with strong regional importance such as Zipfer, Puntigamer, Wieselburger, Kaiser, Schladminger and Reininghaus. 2,500 employees throughout Austria ensure that around 49,000 customers and millions of beer lovers throughout the country are supplied with beer. It goes without saying that Brau Union Österreich focuses on the best raw ingredients, highest quality and sustainable production – both in terms of the environment and society. Brau Union Österreich has set itself the task of creating the best possible beer culture for the future and in Austria, to shape it according to the nation’s social and ecological challenges. Thus, Brau Union Österreich has been awarded the “GREEN BRAND” rating. The flagship project in this context is the “Green Brewery” of Göss, using renewable energy sources in the brewing process. For its endeavours to achieve carbon neutral beer production, Brau Union Österreich was honored with the Energy Globe Austria, the EU Sustainable Energy Award incl. EU public award and 2018 with the edie Sustainability Leaders Award. Brau Union Österreich stands for the production and distribution of beer and other beverages of all kinds, as well as the provision of commercial services and trading in goods of all kinds. Five of the eight breweries owned by Brau Union Österreich are large breweries. These include the Göss brewery and the Puntigam brewery in Styria, the Schwechat brewery and the Wieselburg brewery in Lower Austria, as well as the Zipf brewery in Upper Austria. These are complemented by the regional speciality breweries, the Schladming brewery in Styria and the Falkenstein brewery in East Tyrol, as well as the Kaltenhausen speciality brewery in Salzburg. In 1925, the brewery Kaltenhausen, the brewery Wieselburg, the brewery Poschacher and Aktienbrauerei Linz, the Salzkammergut breweries Gmunden merged with the Braubank AG under the name Österreichische Brau AG. In the following years, further breweries joined, for example, in 1970 the brewery Zipf and in 1978, the brewery Schwechat so that the Brau AG gradually became an Austrian beer empire. In 1988, the corporation BBAG “Brau-Beteiligungs-Aktiengesellschaft“ was founded. In 1993, through the amalgamation of all international and national brewing interests of the group, a separate listed stock corporation was created: the BRAU UNION AG. The BRAU UNION ÖSTERREICH AG was founded in 1998, following the merger between the Österreichische Brau AG and the Steirerbrau. In 2003, the purchase of 33% of the Brauerei Schladming shares followed, which was increased in 2005 up to 90%. 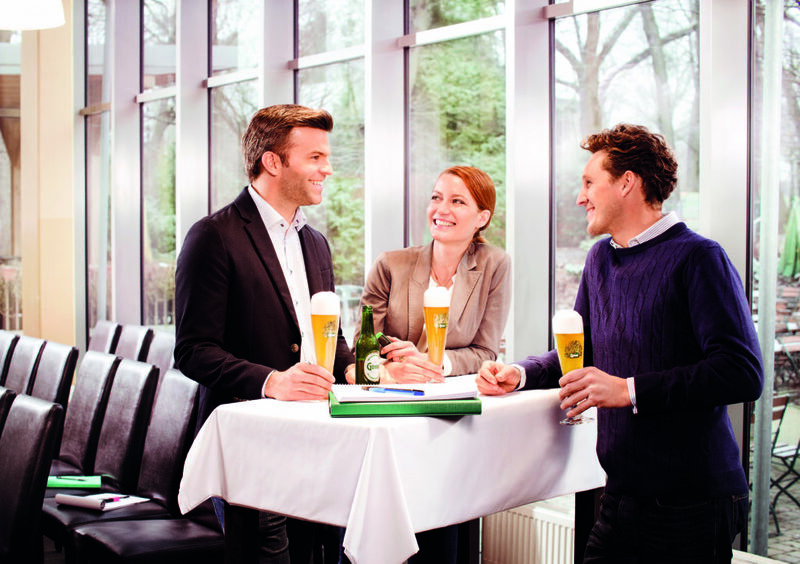 Since 2003, the Brau Union Österreich has been a part of its parent group HEINEKEN, based in Amsterdam, and can be considered as a perfect example of how Austrian companies are able to strongly position themselves in international groups. day after day that modern consumer needs and tradition-steeped brewing knowledge perfectly fit together. We are proud that we have been able to bear the Austrian national Coat of Arms since the 1960s. Despite or even because of our affiliation to an international group, it has always been our effort to keep up Austrian beer culture and to make it to the best in Europe.